From malware to phishing, denial-of-service attacks to drive-by downloads, businesses face daunting security challenges that pose truly frightening fiscal threats. We know that your customers rely on your business to run like clockwork. 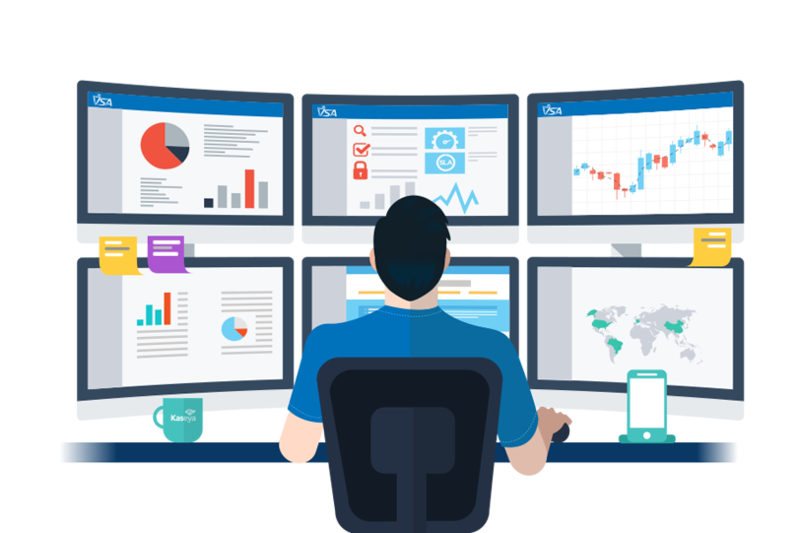 With Remote Monitoring and Management through NCS, you can rest easy knowing you're taking a proactive approach to protecting your technology assets. RMM provides multiple layers of security, including: best-in-class antivirus, web protection, device discovery, network monitoring tools, and backup and recovery—to help protect businesses from all angles. It also includes data breach risk intelligence to help you prioritize your security efforts around at-risk data. We understand why your critical business services are so important to your daily operations. This is why we spend so much time aligning our technology to support your revenue generating services. Building a program that relies on 24/7/365 network monitoring coupled with an aggressive preventative maintenance component ensures optimum uptime for your business. Together, we can leverage the power of technology to keep your company running like clockwork.